When I was a kid, I was so excited about getting my first bank account. Instead of just saving my allowance in a piggy bank, I could put it in the bank and earn interest every month. Even though the balance was just a few hundred dollars, it was a thrill watching it grow by a dollar or two with each month’s statement. Of course, that was back in the 1980s. 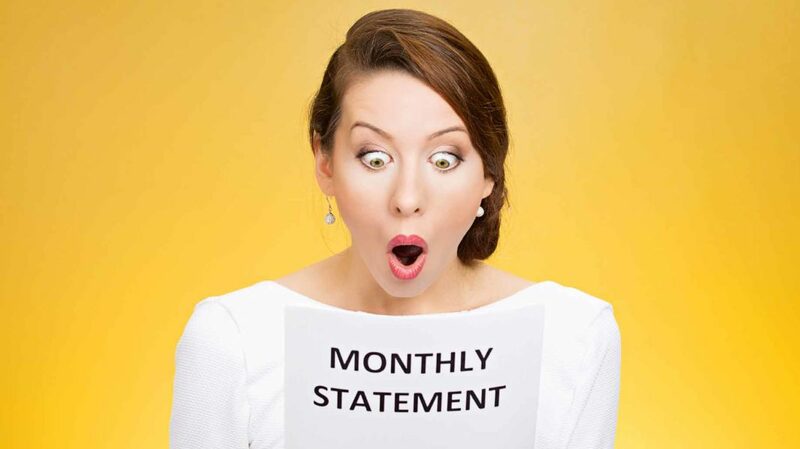 If you opened an account with that tiny a sum of money today, not only would the interest on your monthly statement equate to mere pennies, but you’d probably end up getting slapped with a fee of several dollars each month for failing to meet your bank’s minimum balance requirement. So instead of watching your balance grow slowly over time, you’d actually see it fall as fees added up. The minimum balance requirement fee is only one of the many fees that banks can charge you. You are charged a fee if you overdraw your account, and you can be charged a fee for depositing a check that bounces. You pay fees for using another bank’s ATM, for making too many transactions, or for making no transactions at all. In fact, a 2013 study by WalletHub found that the average checking account has 30 different fees associated with it – and about one bank in five doesn’t disclose them on its website. While it may seem like you’d be better off keeping your cash in a piggy bank, there’s no need to go to that extreme. If you’re smart and careful, it’s possible to avoid most bank fees – or at least keep them to a minimum. Suppose you stop at the grocery store for a few items on your way home from work. At the register, your bill comes to $32, so you hand over your debit card – not realizing that there’s only $30 left in your checking account. If you don’t have overdraft protection on your bank account, then the payment won’t go through. However, if you decided to opt in for overdraft protection when you opened the account, then the payment will go through as if nothing were wrong. While you’d be spared the embarrassment of having your card refused, you’d pay for it later when the bank charges a $35 overdraft fee for spending $2 more than you had in your account. That might not be the end of it either. If you make a second stop at the pharmacy to pick up a prescription, your $5 copay would trigger a second $35 fee. And if you stop for a quick cup of coffee afterward, that $2 transaction would trigger yet another fee. 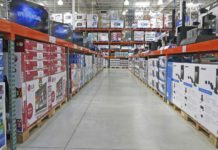 By the time you leave the store, you’d be $114 in the red – even though you only went over the balance in your account by a total of $7. Many big banks limit the number of overdraft fees you can be charged in a single day to three to six, but at $35 a pop, that’s still a lot of money to lose in one day. Overdraft fees – also known NSF fees, for “non-sufficient funds” – are one of the heftiest fees charged by banks. According to the Consumer Financial Protection Bureau, the median overdraft fee in 2014 was $34. To add insult to injury, most of the transactions that trigger overdraft fees are less than $24, which is $10 less than the amount of the fee itself. To put this in perspective, if you borrowed $24 from your bank for three days and paid $34 in interest for it, that would amount to an annual percentage rate of 17,000%. Some banks even manipulate your account on purpose to hit you with as many overdraft fees as possible. If you make several transactions on the same day, all in different amounts, the bank deliberately puts the highest charge through first – even if it was actually the last purchase you made that day. So, for instance, if you paid for the $3 prescription and the $2 coffee before you bought your $32 worth of household goods (and therefore still had sufficient funds to buy the prescription and the coffee), the bank still charges you for the $32 purchase first. That way it can charge you three separate overdraft fees for the three transactions, rather than just one. Banks can also alter the timing of your deposits. For example, suppose you knew that your balance was getting low, so you went to the bank and deposited $60 to your account prior to shopping. However, instead of crediting the $60 deposit to your account immediately, the bank held on to it for a day – while debiting your payments immediately. By the time the $60 deposit is credited to your account, it’s too late. You’ve already been charged more than $100 in fees – and even with the $60 deposit, you’re still overdrawn. In theory, avoiding overdraft fees is simple: Be sure to never overdraw your account. But when you’re using a debit card for all your purchases, it can be tricky to always know how much money you have available. Don’t Opt In to Overdraft Protection. A law passed in 2010 forbids banks to charge overdraft fees without your consent. 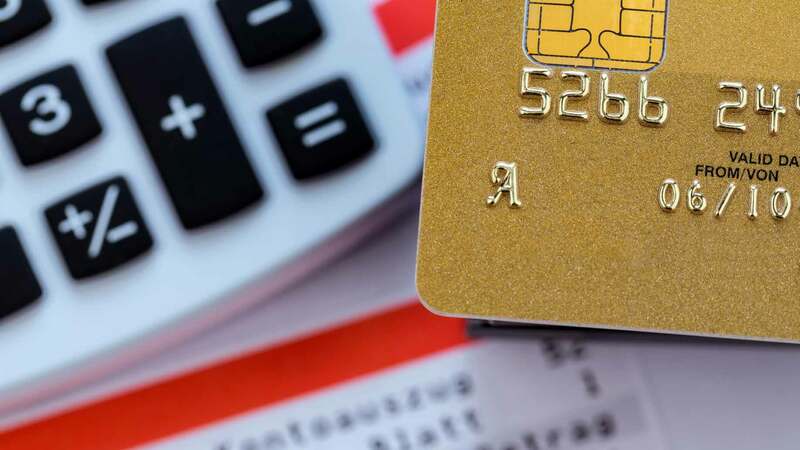 However, if you are asked whether you want to opt in for “overdraft protection” when opening an account, you may be mistaken that this service will protect you from having to pay overdraft fees, when, in fact, it does the opposite. Therefore, declining overdraft protection is the wiser move, even if it means occasionally having your card rejected because you don’t have enough money in your account. Watch Your Balance. Turning down overdraft protection doesn’t guarantee that you’ll never be charged an NSF fee. Sometimes, when you make a purchase, it doesn’t post to your account immediately – so by the time it goes through, your balance might have dipped below the amount of the charge, triggering a fee for the transaction you’ve already made. To avoid this problem, try to keep a big enough cash cushion in your checking account at all times to cover your day-to-day purchases, and keep a close eye on your balance if you fear that it is getting low. Set Up Mobile App Alerts. You can set up your bank’s mobile app to deliver a text alert when you attempt to make a transaction that would overdraw your account. That way, if possible, you can transfer money from your savings account while the transaction is still pending – or otherwise cancel the transaction altogether. You can also set up the app to alert you when the balance in your account drops below a certain level. Link to Another Account. There’s more than one kind of overdraft protection. “Overdraft coverage” basically means that you receive a bank loan every time you overdraw your account – and pay a fee each time. By contrast, “overdraft transfer” means that you link your checking account to a savings or money market account with the same bank, so if you accidentally take too much money out of checking, the bank automatically transfers money from the other account to cover it. Some banks charge a fee for these transfers, but it’s often around $10 – much less than the average overdraft fee. Link to Your Credit Card. If you don’t have a savings account to link to, you can link your checking account to your credit card or line of credit instead. Then, if you overdraw your checking account, the portion of the payment you cannot cover is charged to your credit card. Once again, you’re likely to be charged a fee for the transfer, but it shouldn’t be anywhere near $35. Say you’re out with some friends in an unfamiliar part of town and you’re short on cash. You don’t know where to find a branch of your bank, so you stop by another bank to use the ATM. But because you’re not a customer, you’re charged a $2.50 fee. Later in the month, you review your bank statement to find that your own bank has charged an additional $1.50 for using an out-of-network ATM. A withdrawal of $50 has ultimately cost you an additional $4. 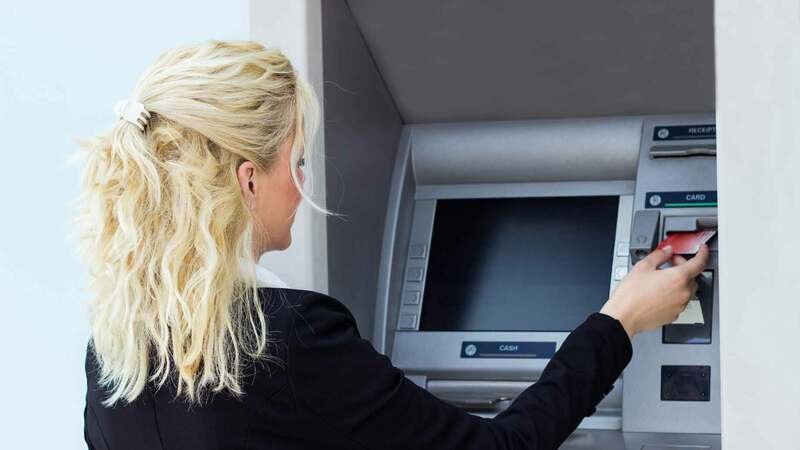 ATM fees are one of the most common bank fees, and also one of the fastest-growing. According to a Bankrate survey of the largest banks in 25 major cities, the average fee banks charge non-customers for the use of their ATMs has risen from $0.89 in 1998 to $2.77 in 2014. Furthermore, banks charge their own customers an average of $1.58 for using another bank’s ATM – so all told, a single withdrawal can cost you $4.35. Stick to Your Own Bank. As long as you make all your withdrawals from your own bank’s ATMs, you don’t have to worry about fees. You can use your bank’s website or mobile app to find in-network ATMs when you’re away from home. Or, plan ahead and stop by your home bank to withdraw cash when you expect to need it. Get Cash Back. If you can’t find an ATM that belongs to your home bank, you can get your cash at a store. Just make a small purchase with your debit card and ask for cash back. Many stores don’t charge a fee for this service. Bank Online. If you open an account at an online bank, it may cover your ATM fees. Online banks don’t have ATMs and branches of their own, so most of them reimburse accountholders any fees that are charged when using other banks’ ATMs. Of all the fees banks charge, perhaps the most annoying is the maintenance fee. This is a fee you have to pay just to keep your account open – in effect, paying the bank for letting you keep your money with it. This doesn’t seem to make much sense, since banks want you to keep your money with them so that they can loan it out to other customers. After all, that’s how they make their money – or at least, it used to be. However, with interest rates so low these days, banks aren’t making much money on loans. Therefore, many tack on extra fees to make up the difference. As a result, truly free checking accounts have become fairly rare. According to Bankrate, only 4% of interest-bearing checking accounts and 38% of interest-free accounts are actually free, with no maintenance fees or other requirements. Maintaining a Minimum Balance. Many banks waive your maintenance fee if you keep a certain minimum balance in your account. Bankrate says the average minimum balance to avoid a fee is $7,211. Using Direct Deposit. Some banks waive the maintenance fee if you make a certain number of direct deposits to your account each month. Other banks require you to deposit a minimum dollar amount. Using Your Debit Card. Making a certain number of transactions each month with your debit card can be another way to avoid maintenance fees. Being a Student. Some accounts are free of maintenance fees for full-time college students. To make sure your “free” checking account is truly free, read the fine print on your account agreement, and make sure you meet the bank’s requirements every month. But keep in mind that your bank can change its rules at any time as long as it notifies you about the change in writing. Therefore, to keep track of what you must do to avoid fees, you actually have to read the notifications the bank sends regarding changes to its terms and conditions. If you have an interest-bearing checking account, check to see whether you can avoid fees by switching to an interest-free account. With today’s low interest rates, the interest you’re sacrificing isn’t worth much. Or, open an account at an online bank or a credit union, which are less likely to charge maintenance fees. Banks don’t just charge you fees for what you do – sometimes, they charge fees for what other people do to you. For example, suppose your roommate gives you a check to pay for her half of the electric bill, but she doesn’t actually have enough money in her account to cover it. 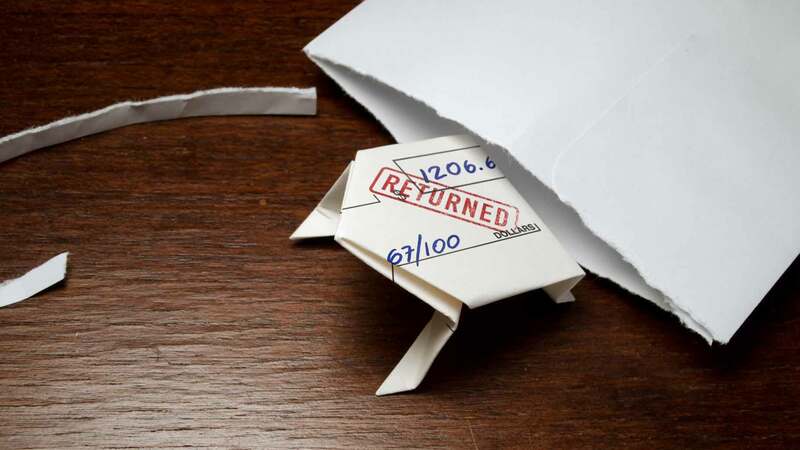 The check bounces when you try to deposit it, and while your roommate is charged an NSF fee, you are charged a returned deposit fee – also known as a “bounced-check fee” – for depositing a check that is no good. According to Wallethub, the maximum amount banks can charge you for a deposit that doesn’t go through ranges from $20 to $40, depending on where you live. Wait for Checks to Clear. It sometimes takes days or even weeks for your bank to notify you that a check has bounced. If you assume during that time that the money from the check is already in your account, that may lead you to mistakenly overdraw your account – so you could be stuck with overdraft fees on top of the returned deposit fee. So always wait until a check has cleared and the money shows up as part of your account balance before trying to use it. Watch Out for Fake Checks. If you get a check from someone you don’t know well, examine it carefully. A check that has no perforations on its edges, has a glossy sheen to it, or is missing the bank’s name and address is likely to be counterfeit. You should also examine the Federal Reserve number at the top of the check to ensure the last three or four digits match the first three or four digits of the bank routing number at the bottom. Finally, watch out for personal checks with numbers between 101 and 500, or business checks numbered between 1000 and 1500. Such low numbers are a sign that the check is from a brand new account, and about 90% of counterfeit checks come from new accounts, according to Wallethub. Check on the Check. If you receive a check that you’re unsure of, take it to the bank where the account is held before depositing or cashing it. The bank can tell you whether there’s enough money in the account to cover the check. Use a Small Bank. Most big banks charge returned deposit fees, but many small banks and credit unions do not. If you seem to be running into bounced checks on a regular basis, look into the possibility of moving your account to a bank that doesn’t charge this fee. Having your wallet stolen is a big hassle. In addition to losing all the cash you were carrying, you have to go to the effort of canceling and replacing all your credit and debit cards. And to make matters worse, some banks actually charge a fee to replace your lost debit card. For example, Bank of America charges $5 for a new debit card, and PNC Bank charges $7.50. Fortunately, most major national banks do not charge for a replacement debit card. However, if you need your new card in a hurry, nearly all banks charge for rush delivery. MyBankTracker reports that the fee for this service can range from $5 to $30. Aside from keeping a close eye on your wallet, the best way to avoid a lost card fee is to choose a bank that doesn’t charge it. To avoid paying the rush fee, go to the nearest bank branch and withdraw enough cash to last until your new card arrives. Spending money while traveling abroad used to be a lot of work. Since you couldn’t access your American bank account from outside the country, it was necessary to stock up on travelers’ checks. But since those aren’t accepted everywhere, you had to carry cash too, requiring a trip to a currency exchange office. ATMs and debit cards have made it much simpler – now you can use foreign ATMs to retrieve cash from your own bank account, or swipe your debit card and punch in a PIN to make a purchase. But this convenience comes with a cost: Each time you use your debit card, you pay a fee to convert your dollars into local money. According to CreditCards.com, most banks charge a flat fee of $1.50 to $5 for foreign ATM withdrawals, and some charge an additional foreign transaction fee between 1% and 3% of the amount withdrawn. There are several American banks that do not charge fees for foreign transactions. These include Charles Schwab and the online bank Capital One 360. Some credit unions also let you make withdrawals overseas at no charge. Other banks, such as Bank of America, have partnerships with certain foreign banks, so you can use those banks’ ATMs overseas without paying a fee. You can also avoid paying fees on purchases by leaving the debit card in your wallet and using a credit card that doesn’t charge a foreign transaction fee. Many travel rewards credit cards – including Chase Sapphire Preferred, BankAmericard Travel Rewards, Capital One Venture, and Discover it Miles – fall into this category. Personally, I prefer receiving my monthly bank statement electronically rather than by snail mail. It reaches me faster, eliminates clutter, and is easier to locate if needed in the future. However, for those who prefer to receive their statement in paper form, there’s some bad news: Some banks now charge a fee, often $1 or $2, to mail your statement to you. Unfortunately, there’s not much you can do about this fee except give in and sign up for electronic statements. Besides, going paperless is the greener option, as it reduces the number of trees cut down to make all that paper. And if you really prefer to read your bank statement on paper, you can always print out a copy at home. It may come as a surprise to learn that some banks charge an inactivity fee – sometimes known as a “dormancy fee” – for maintaining an account that you’re not using. Banks charge this fee because abandoned accounts are subject to strict government regulation, which causes major administrative headaches. Not all banks charge account inactivity fees, but for those that do, the fee is typically between $10 and $20 a month. Generally, an account must sit untouched from six months to a year before the inactivity fee kicks in. Some banks provide an advance warning, but others simply start draining the money from your account. If you don’t read your statements carefully, you might not even realize you’re being charged a fee until the bank notifies you that your account has a $0 balance and will soon be closed. You’re most likely to be hit with an inactivity fee on a savings account that you seldom use – such as an account you opened a long time ago at your previous bank and forgot to close. To avoid this fee, all you have to do is keep your account active by making at least one deposit or withdrawal each month. If you have an account that you don’t use for day-to-day business, you can set up an automatic monthly transfer depositing money into or withdrawing money from the account to prevent inactivity. Or, simply close the account. Some banks charge a fee if you don’t make any savings account transactions at all – but if you make too many transactions, they charge a fee for that as well. Banks blame this fee on Federal Regulation D, a law governing banks that defines a savings account as one in which depositors make “no more than six transfers and withdrawals…per calendar month or statement cycle.” If a depositor goes over the allowed number of transfers and withdrawals, the bank can either refuse to make the transaction or just warn the customer not to do it again. The law doesn’t actually require banks to charge customers a fee – but many banks do. A typical excess activity fee is in the $10 to $15 range. Use Your Checking Account. Excess activity fees apply only to savings accounts, not checking accounts. So for any payments and transfers you make on a regular basis, always use your checking account. Plan Ahead. Sometimes it’s necessary to transfer money from your savings account to your checking account, or vice versa. However, doing this too many times in one month can trigger an excess activity fee. To avoid this problem, plan ahead. Create a personal budget to determine how much money you’ll need to get through the month, and then transfer the whole amount to your checking account in one lump sum instead of making multiple transfers throughout the month. Visit the Bank. Federal Regulation D only limits certain types of transactions, including transfers and withdrawals made by check, debit card, or phone, or automatic transfers. You can still make as many transactions per month as you want at the teller window or the ATM. So if you ever need to make a transfer into or out of savings that would put you over the monthly limit, do it at the bank. Although it’s often possible to avoid bank fees, sometimes mistakes happen. If you open your bank statement and realize that you’ve slipped up and have been slapped with a fee, don’t assume that your only option is to swallow it. Often, banks are willing to remove a fee from your account if you call and ask politely. A survey by Credit.com found that 44% of bank customers have successfully had bank fees waived, including overdraft fees, returned deposit fees, and low balance fees. It can’t hurt to ask. The worst a teller can do is say no, and if this happens, you’re no worse off than you were before. Has your bank ever charged you a fee? How did you respond?